The Jergens 4-Pin Pallet is a quick and easy way to change fixtures or workpieces. 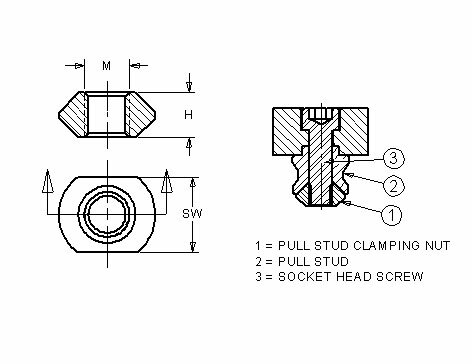 The fixture or workpiece is outfitted with 4 pull studs that fit into the pallet changer. Rotating a single hex drive pulls down and locks the fixture or workpiece to the pallet. Pallets can be mounted to multiple machines allowing the fixture to be moved, located and clamped to each of the machine tools.